Dear Mom Jeans, I’m so sorry for the horrible things I said about you when I was young. I swore that I would never wear “high rise jeans.” Why would anyone want to? My teeny waist lived in my hip huggers through high school and college. And then I had kids. *Inserts foot into mouth. * This spring, I’m in love with my High Waisted Jeans from Lucky Brand, and a stylish yet comfortable spring outfit idea that’s definitely for the birds – all around $100. It’s fall y’all, and my heart is full of sweet toddler moments. All I had to do was give her a magical pumpkin. “It’s just like Cinderella’s pumpkin, Mommy!” as she scoops up her new BFF. Isn’t it amazing how kids can cling to the simple things? And this fall, I’m all about simple toddler style. With the weather cooling off (this Florida mom can dream, ok? ), my child is all about the outdoors. 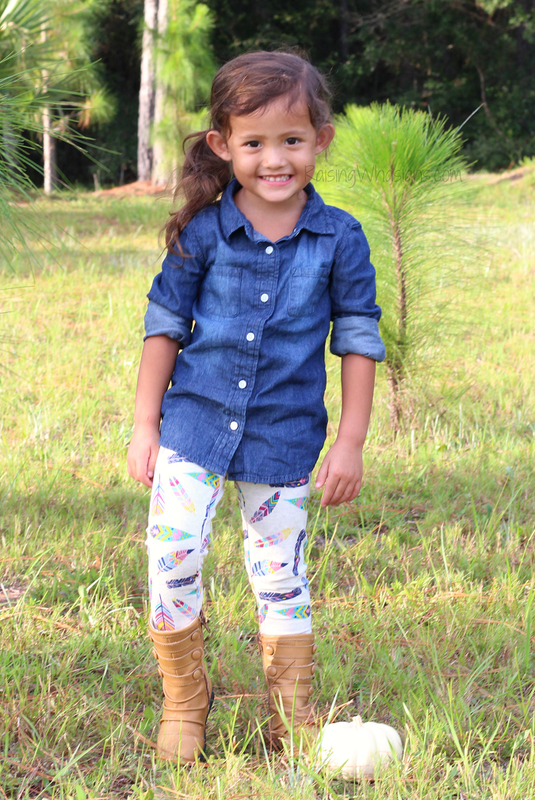 Running, jumping, exploring, tumbling – which means my girl’s style needs to keep up with all of this fall activity! That’s why I’m “falling” for affordable kids clothes with FabKids. Time to take the stress out of kids clothes shopping! Come gush over this adorable toddler photo shoot for fall (magical pumpkin in hand), and check out why parents LOVE FabKids clothes.